NaBloPoMo, day three: Get out and vote! Wikipedia | I’ll be wearing one of these tomorrow. Will you? Tomorrow is election day. There are so many excuses to not vote. You’re too busy. You’re tired. You don’t know where to vote. It’s a Tuesday. And don’t fall back on any of those worn out versions of, “My vote doesn’t count/matter/make a difference.” Because all that tells me is that you don’t care enough to MAKE it matter. Let me tell you why I vote. I vote because I’d rather have the right to vote than none at all. I vote because people fought long and hard to give me, a woman and minority, that right. I vote because I don’t think it’s right for me to complain about the state of affairs in our country if I choose not to cast my vote. And mostly, I vote because I feel that regardless of how the rest of my state votes or electoral votes in my state are cast, my voice DOES count and is just as important as the voices of those in the rest of the country. 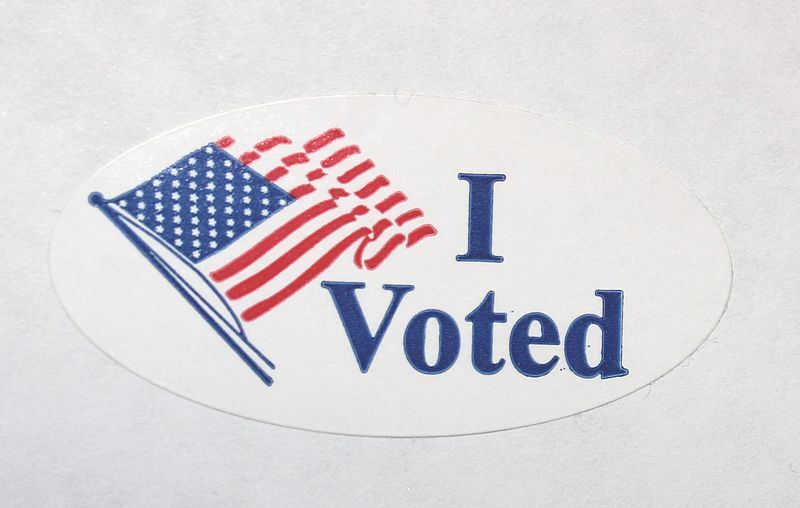 Regardless of your candidate choice, of which party with which you identify, of where you stand on the all of issues each candidate has addressed, make sure you exercise your right and vote. Many will never know the what it feels like to have that right. Don’t take for granted that you do.